– Prince Nico Mbarga, Nigerian/Cameroonian singer. WHEN Nico Mbarga released his “Sweet Mother” song in 1976, he didn’t realize that it would become such a hit. After suffering several rejections by the top record labels such as EMI, Decca Records and Philips Records, Mbarga turned to Rogers All Stars, a local recording company based in Onitsha who finally agreed to release the album. According to Wikipedia, “Sweet Mother” went on to become one of the most popular hits in Africa, selling over 13 million copies. Sometimes called Africa’s anthem, the song was voted Africa’s favourite song by BBC readers and listeners in 2004, coming before Brenda Fassie’s “Mario” and Mariam Makeba’s version of “Malaika.” (Source: https://en.m.wikipedia.org/wiki/sweet mother. Retrieved, 22 November, 2016). World number one men’s singles tennis player Andy Murray and his brother Jamie should be singing “Sweet Mother” to their mum Judy today as the brothers reach the pinnacle of their sport. It was Judy, herself a former tennis player, who introduced her kids to tennis, with Andy going on to grab his first newspaper headlines at the age of six when he beat older boys at a competition for 12-year-olds and under. Last weekend at the O2 Arena in London, Andy grabbed the biggest headlines of his career when he emerged as world champion and also cemented his place as world number one, following a straight sets (6-3; 6-4) victory over former number one Novak Djokovic at the ATP World Tour Finals. It is the first time in his career that Andy will finish the year as world number one. Just a few weeks before that, Andy’s older brother, Jamie had also secured the 2016 number one world ranking in the men’s doubles with his playing partner, Bruno Soares. The brothers thus became the first in tennis history to achieve the feat. The global sports media has been awash with tributes particularly to Andy Murray for his resilience over the years which has finally paid off. Although he has been a member of the “Big 4 of Tennis” which also included Roger Federer, Rafael Nadal and Djokovic during the last decade, Andy has been the least successful of the quartet, boasting only three Grand Slams compared to Federer’s 17, Nadal’s 14 and Djokovic’s 11. Also, the other three had monopolized the number one ranking amongst themselves in all that period until a few weeks ago when Andy broke through. Had he lost last weekend’s ATP Final to Djokovic, Andy would have been immediately overthrown again as number one. But he surprised everyone by claiming a relatively straight forward win over an adversary who had been his nemesis. 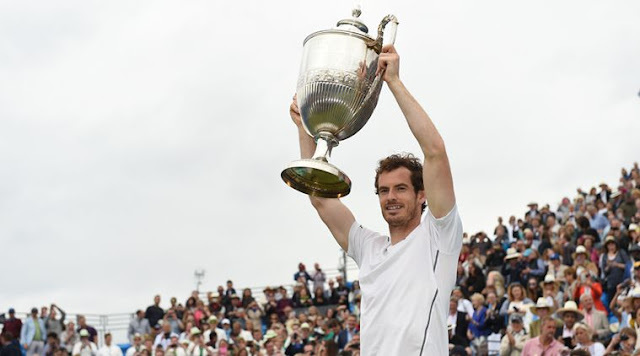 The world, particularly the British, is right to celebrate Andy’s remarkable achievement. But I decided to celebrate Andy’s mum even more because, she has not only given the world a world champion, but two! The sporting world is filled with stories of how visionary fathers influenced the career of many great sports men and women. Since we are talking tennis, the examples that come readily to mind are those of the William Sisters, Venus and Serena whose father Richard single-handedly produced; Maria Sharapova whose Russian father Yuri migrated to the United States to work as a servant so he could pay his daughter’s fees at a tennis academy; and the retired Andre Agassi, whose Iranian-born dad, Emmanuel “Mike” Agassi, bought his first tennis racket before he was even born! Incredible stories, but true. Judy Murray belongs in this group of incredible parents who sacrificed a lot and diligently shaped the lives and sporting careers of their children. There are many others like them but obviously, it is those who succeed in taking their wards to the very top who get recognized the most. For producing not one, but two world champions in such a competitive and demanding sport such as tennis, Judy Murray is a super mom. She is a “sweet mother” in the words of Prince Nico Mbarga. Nigerian mothers can take a cue from Judy. Florence Omagbemi A Super Woman? IT IS IRONIC that even while I am recalling the tribute to motherhood by Cameroonian-Nigerian singer, Nico Mbarga, Nigeria’s Super Falcons are fighting to regain their African Women Championships (AWC) crown in neighbouring Cameroun. And the coach bidding to make history with the girls is a former Super Falcon herself, Florence Omagbemi. I have known Omagbemi since she became the first captain of Nigeria’s first women’s football team in 1991. I remember spending a whole day with them in camp at the Obasanjo Farms in Ota, Ogun State as they prepared for the first FIFA Women’s World Cup in Sweden. Back then, she was a tiny-looking, antelope-legged girl (no pun intended) with a football brain that was far ahead of her peers in a sport (women’s football) that was still a novelty in the country. It was quite easy for the team’s first coaches, Paul Hamilton and Niyi Akande, to make Omagbemi captain because she was simply the most intelligent player on the pitch. Since then, Florence’s career has gone full circle. She has captained Nigeria to several African women’s titles, several Women’s World Cups and Olympic football tournaments. She turned professional in America, became a coach, got appointed as a FIFA ambassador and now, she’s the coach of the national team. What a story. Last weekend, Omagbemi got her team to a flying start at the AWC by beating Mali 6-0 with current star of the team, Asisat Oshoala, scoring four goals. Their next group game against Ghana (on Wednesday, 23 November) promises to be more competitive as the Ghanaians are, historically, Nigeria’s biggest rivals on the content. I hope the Falcons will scale the Ghana hurdle and go on to win the trophy in Cameroun. 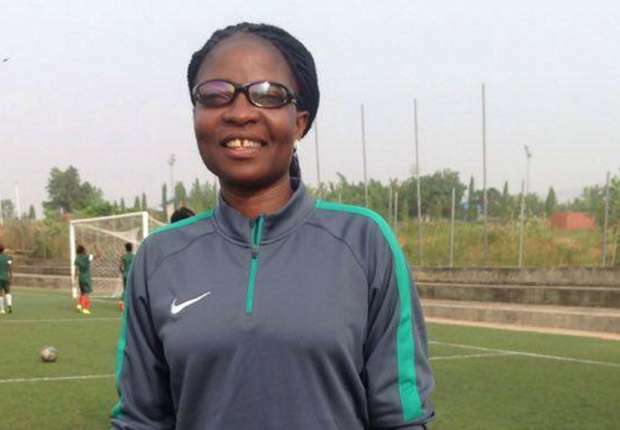 That would cement Omagbemi’s legacy as an icon of women’s football and make her the first woman to win the AWC both as a captain and a coach. Unfortunately, the current Falcons have not been receiving adequate support from a cash-strapped Nigeria Football Federation (NFF). In fact, I felt scandalized when the story broke that the NFF gave players who didn’t make the team to Cameroun only N10,000 each to return home without any further compensation for the time spent in camp. Meanwhile, those who made the team are yet to receive any allowances and/or bonuses either. I say good luck to the Super Falcons. Following last weekend’s 1-1 home draw against Arsenal, I’m afraid United now stand on the brink of elimination from the title race as their 19 points leaves them exactly nine points adrift of leaders Chelsea on 28 points. 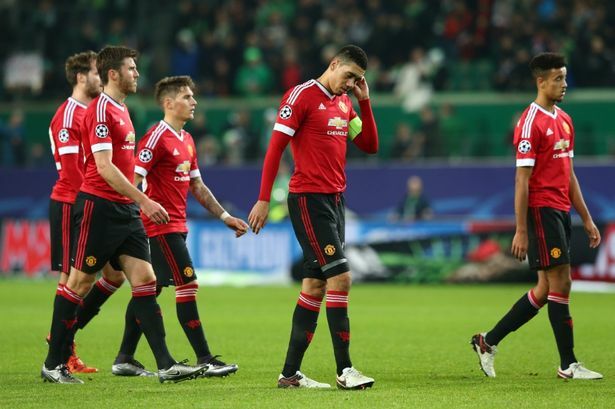 Any further slip and Jose Mourinho can kiss goodbye to the title in his first season at Old Trafford. I’m sticking to my pre-season benchmark that no team will be able to recover a 10-point deficit in what promises to be the tightest EPL title race ever. Do you agree? · Dear sir, you started it, you can’t change the tune, we can’t back down now, we are the landlord, others must surrender the keys. Zambia+Cameroon+Algeria = 4, Nigeria = 6! The clear leader would not surrender. All other teams in our group will be on break and would have to wait till August. Even those in AFCON won’t be there beyond February. We will play friendly games intermittently between May and June, European leagues will be on break, if utilize, Eagles can train together for a whole two weeks. The most Eagles have together since Rohr is four days! We should be in Russia not by accident but by design and divine not even by mathematics/permutation. Let’s be positive for once. – J D. Korode, Ijagbo, Kwara State. · Uncle Mumini, I am one of those who also went on Sabatical when Soccertalk embarked on such. Thank God that we are back. I want to comment on the so many phobias for White jersey and the “supposed” bad luck that follows it. Records show that we have success and failure on both green and white jerseys respectively. On the three occasions we won the AFCON Cup, one was won on white jersey, and on the four occasions we lost at the final matches, it was two apiece. We also lost to Algeria at Lagos in 1981, putting on the ‘lucky’ green jersey. I’m quite sure of that. – Nationale, Ojo, Alaba. · Sir, you might have forgotten you gave me a copy of that magazine, in that year when I came on a courtesy visit then as a young undergraduate. I will later come back a year later for an interview alongside dare Esan, Femi Fasetire, Henry Okodua, Pius (now with Punch) and so other. The interview was conducted by you and Morakiyo Abodunrin we are told to pick on one Nigerian midfielder for our written interview. I still have the copy. – Ajibade Alabi, Ayobo, Lagos. · Great victory over Algeria. The hard work still ahead. We will surely qualify with the same seal, effort and determination as shown in past matches. – Azudiaby, Ilorin. · Mr. Soccertalk, please what has become of former Super Eagles rightful back Efe Ambrose of Celtic? – Eric Onwuzuruike. · Alhaji Mumini Alao, I quite agreed with you about our level of concentration in that match against Algeria especially during the middle of second half. I thank God for those great changes, Ndidi Wilfred and Ahmed Musa. – Kingsley. · Mumini, you are absolutely correct, Imeela and Unu Agbaliala is just the same. Please in your next encounter with Victor Moses, I would like to know his tribe. – Chikezie Jude. · Dear Alhaji Mumini, thank you so much sir for giving a host of people (including myself) great weeks to look forward to with your soccertalk. Having said this, your Igbo lesson continues today from where it was last taught you. Ndi IfeanyiUbah (refers to a group of people), Unu Emela (plural verb) is more appropriate than Emeela (singular verb). Eku ise sir. – CID, Magodo, Lagos. · Despite their winning stride over World Cup qualifier tournament, the Eagles should keep going to the drawing board until the last match that will take them to Russia 2018. – Mrs. Ijeoma Nnorom. · Nigeria will qualify for the 2018 World Cup from her group no matter the odds that might confront them during the qualification period. D.C Odoemena, Lagos. · Congratulations Super Eagles. Come rain, come sun, the Nigerian flag will fly in 2018 World Cup in Russia. Period! – UBA Sptephen Igwe, Badagry. · Mumini, infact you are a good octopus. Rarely your prediction would not come to pass. What a wonderful prophecy. Keep it up. Up green white green. – Olapade Abbey, Lagos.